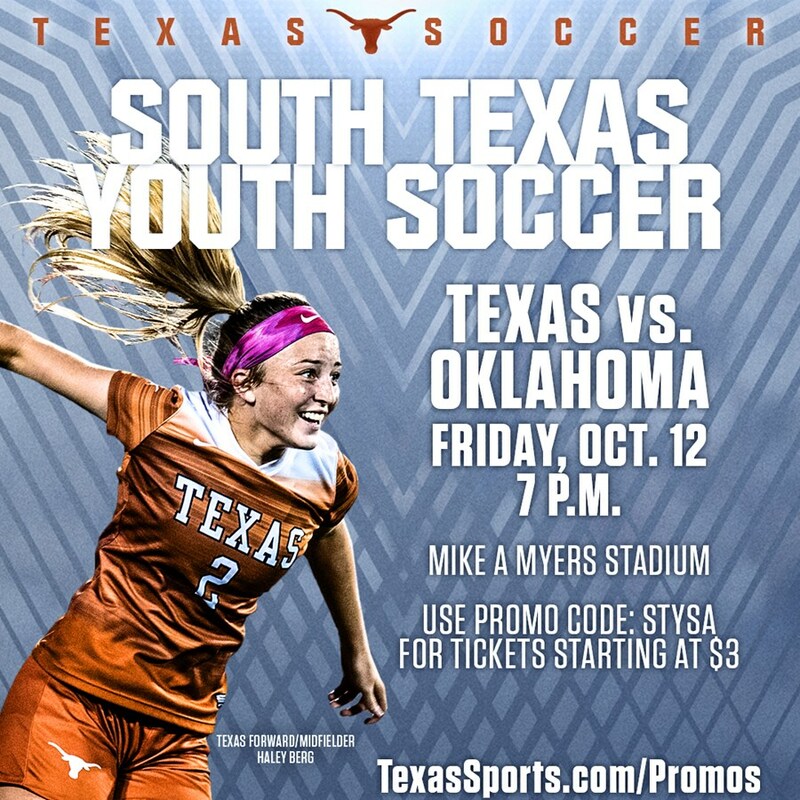 South Texas Youth Soccer Association would like to invite players, family, and friends to Mike A Myers Stadium and Soccer Field on Friday, October 12th at 7pm with Texas Soccer. Family & friends can purchase tickets for only $3 per person. South Texas Youth Soccer Association family and friends can purchase tickets by visiting www.TexasSports.com/promos and using promo code STYSA. All seating is general admission, so family and friends can sit together on game day. 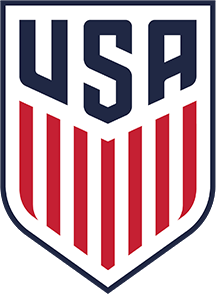 Texas Soccer is also extending all South Texas Youth Soccer Association families and friends a 33% discount on full season passes for the 10-game home schedule. Interested families can purchase full season passes for only $20 per person ($2 per game) and come to any and all games including the South Texas Youth Soccer Association night on October 12th. UT is returning 23 letter winners from last fall's 14-4-3 squad that advanced to the NCAA Sweet 16 for only the fourth time in program history. Those returnees combined to account for 97 percent (28-of-29) of UT's total goals and 90 percent (27-of-30) of the total assists from the 2017 campaign as well as all 14 goalkeeping wins and 11 shutouts between the pipes. The first 250 fans to purchase season passes will also receive a free Texas Soccer scarf that can be picked up at Mike A Myers Stadium and Soccer Field on game day. For help purchasing tickets, please contact Texas Athletics at 512-471-3333 or via email at tickets@athletics.utexas.edu.